The United States stands almost entirely alone among developed nations in adding industrial silicofluorides to its drinking water—imposing the community-wide measure without informed consent. Globally, roughly 5% of the population consumes chemically fluoridated water, but more people in the U.S. drink fluoride-adulterated water than in all other countries combined. Within the U.S., just under a third (30%) of local water supplies are not fluoridated; these municipalities have either held the practice at bay since fluoridation’s inception or have won hard-fought battles to halt water fluoridation. The fluoride chemicals added to drinking water are unprocessed toxic waste products—captured pollutants from Florida’s phosphate fertilizer industry or unregulated chemical imports from China. Dozens of studies and reviews—including in top-tier journals such as The Lancet—have shown that fluoride is neurotoxic and lowers children’s IQ. 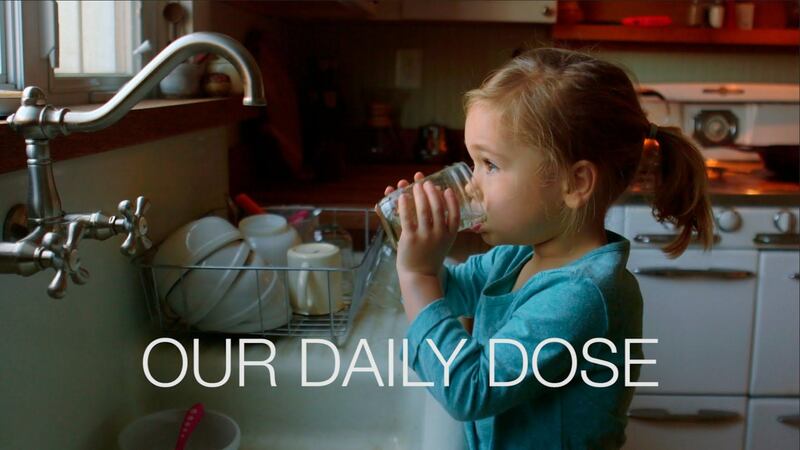 Fluoride is also associated with a variety of other health risks in both children and adults. However, U.S. officialdom persists in making hollow claims that water fluoridation is safe and beneficial, choosing to ignore even its own research! A multimillion-dollar longitudinal study published in Environmental Health Perspectives in September, 2017, for example, was largely funded by the National Institutes of Health and National Institute of Environmental Health Sciences—and the seminal study revealed a strong relationship between fluoride exposure in pregnant women and lowered cognitive function in offspring. During World War II, fluoride (a compound formed from the chemical element fluorine) came into large-scale production and use as part of the Manhattan Project. To prop up its “exaggerated claims of reduction in tooth decay,” government researchers began carrying out a series of poorly designed and fatally flawed community trials of water fluoridation in a handful of U.S. cities in the mid-1940s. As one example, a 15-year trial launched in Grand Rapids, Michigan in 1945 used a nearby city as a non-fluoridated control, but after the control city began fluoridating its own water supply five years into the study, the design switched from a comparison with the non-fluoridated community to a before-and-after assessment of Grand Rapids. Fluoridation’s proponents admitted that this change substantially “compromised” the quality of the study. In 1950, well before any of the community trials could reach any conclusions about the systemic health effects of long-term fluoride ingestion, the U.S. Public Health Service (USPHS) endorsed water fluoridation as official public health policy, strongly encouraging communities across the country to adopt the unproven measure for dental caries prevention. Comparable to Robert F. Kennedy, Jr.’s book, Thimerosal: Let the Science Speak, which summarizes studies that the Centers for Disease Control and Prevention (CDC) and “credulous journalists swear don’t exist,” The Case Against Fluoride is an extensively referenced tour de force, pulling together hundreds of studies showing evidence of fluoride-related harm. The research assembled by the book’s authors includes studies on fluoride biochemistry; cancer; fluoride’s effects on the brain, endocrine system and bones; and dental fluorosis. The important 2017 study that showed decrements in IQ following fluoride exposure during pregnancy is far from the only research sounding the alarm about fluoride’s adverse developmental effects. In his 2017 volume, Pregnancy and Fluoride Do Not Mix, John D. MacArthur pulls together hundreds of studies linking fluoride to premature birth and impaired neurological development (93 studies), preelampsia (77 studies) and autism (110 studies). The book points out that rates of premature birth are “unusually high” in the United States. At the other end of the lifespan, MacArthur observes that death rates in the ten most fluoridated U.S. states are 5% to 26% higher than in the ten least fluoridated states, with triple the rate of Alzheimer’s disease. A 2006 report by the National Research Council warned that exposure to fluoride might increase the risk of developing Alzheimer’s. Pregnancy and Fluoride Do Not Mix shows that the Institute of Medicine, National Research Council, Harvard’s National Scientific Council on the Developing Child, Environmental Protection Agency (EPA) and National Toxicology Program all are well aware of the substantial evidence of fluoride’s developmental neurotoxicity, yet no action has been taken to warn pregnant women. This request—the focus of a lawsuit to be argued in court later in 2019—poses a landmark challenge to the dangerous practice of water fluoridation and has the potential to end one of the most significant chemical assaults on our children’s developing bodies and brains. © 2018 Children’s Health Defense, Inc. This work is reproduced and distributed with the permission of Children’s Health Defense, Inc.